GFFH. GFFH. It's an acronym that Xbox fans know all too well. GFFH! GFFH! It's more than an acronym, after hearing it for almost ten years it has become a chant that just won't stop. Gears, Forza, Fable, Halo! 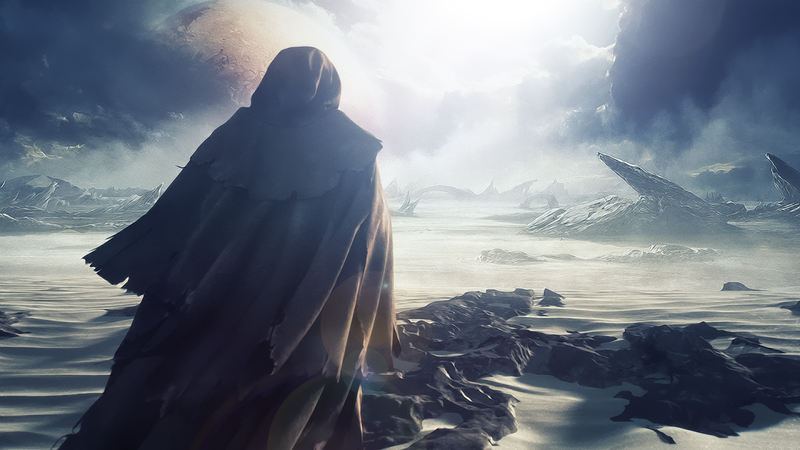 The four game franchises that Microsoft just won't let go. Every year we hear the chant, and frankly, I'm getting sick of it. A successful new intellectual property (IP) isn't easy to come by in this current ultra-competitive industry, but there is one company that seems to have a decent handle on things. One that dives head first into every new venture, for better or worse. Ubisoft. Here is why I think Microsoft needs to follow the Ubisoft blueprint on how to be create a successful, new, AAA franchise. There are varying opinions on what exactly qualifies a game to be "AAA". Is it the budget? Do graphics matter? What about development time? For all intensive purposes, I'll be focusing on games that are, without a doubt, AAA. My reasoning is this, Ubisoft makes games that are undoubtedly AAA. They aren't special in this regard however. Would you need the answers to those questions if we were discussing Call of Duty Black Ops 3? How about Uncharted 4? There are certain games and franchises that are known to be AAA without any extra information. There is one significant difference that I want to address. There are AAA franchises and then there are one-offs. Halo is a franchise. Ryse Son of Rome is a one-off (probably). Franchises are what keep gamers coming back. But when your choices boil down to essentially what amounts to GFFH, an issue arises. 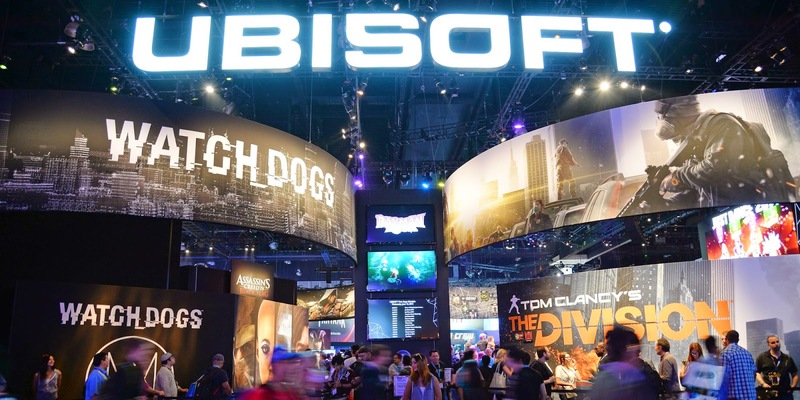 Ubisoft has employed a different strategy for their AAA franchises. No doubt countless hours of planning, marketing, research, and more go into each decision, but I'll boil it down to two key principles: (1) Making new IP's with AAA production, value, and sequels planned in advance, (2) Taking existing IP's and turning them into AAA products. These two principles serve as the main difference between Ubisoft's recent success and Microsoft's growing staleness. Lets take a look at a few recent and upcoming games from Ubisoft: Far Cry 3 (2012), Rainbow Six Siege (2015), Watch Dogs (2014), and The Division (2016). Far Cry 3 and Rainbow Six Siege serve as examples of older franchises that Ubisoft has given the AAA "treatment" to. The previous entries to the series (Far Cry 2 and Rainbow Six Vegas 2) were both mid-tier games in that they were not reliable sellers. Ubisoft transformed both series into a more mainstream product and gave them the look and feel of a modern AAA game (especially in the case of Far Cry 3). Two years later Far Cry 4 was released and now it stands as one of Ubisoft's core franchises. Watch Dogs and The Division serve as examples for the other key principle: making new IP's with AAA production, value, and sequels planned in advance. There was no doubt in my mind that Watch Dogs was going to be a success and lead to future sequels. The game ended up setting a record for best new franchise launch in history and became Ubisoft's best selling launch title ever. At its first E3 appearance back in 2012, Watch Dogs looked nothing less than a future success. The same can be said for The Division. A massive, open-world RPG with MMO elements. Only time will tell, but one thing's for sure, Ubisoft isn't holding back with The Division either. For comparison, let's take a look at a few of Microsoft's recent and upcoming first party games: Alan Wake, Sunset Overdrive, Scalebound, and Quantum Break. These four games are a sample of the first party games outside of the old faithful GFFH. Now here is where Microsoft starts to fall off the wagon. In Alan Wake and Sunset Overdrive there was a decent amount of uncertainty with both titles. One is a game about about an asthmatic writer running around with a flashlight. The other involves grinding around a pretty city and... shooting stuff. Ok, that might be a little harsh. But do either Alan Wake or Sunset Overdrive scream sequels to you? Yeah, me neither. What about Scalebound and Quantum Break? Scalebound is being developed by action veteran Platinum Games while Quantum Break is helmed by the same developers that created Alan Wake. Both do not instill the same confidence in me as The Division and Watch Dogs did. That isn't to say they will be bad games, but neither look to be future franchises that players can rely on. Now don't get me wrong, I'm not saying that every franchise needs to be sent to the sequel factory. But Microsoft needs to shake up the GFFH recipe. To paraphrase Tommy Carcetti, in order to prevent distemper Microsoft, you must vary the gamers menu. As of right now, Microsoft is failing to turn any existing IP into a franchise while simultaneously only producing one-offs for their new IP's. While Ubisoft on the other hand is creating games that are just shy of a guaranteed hit. Those guaranteed hits are exactly what Microsoft has in the form of GFFH. Put Halo on the title of a shooter and it's practically guaranteed to be a huge seller. Ubisoft does the same thing with its Assassin's Creed franchise. The key difference is that they are also venturing outside of that core franchise and create more, while Microsoft continues to test the waters with their one-offs. It's a new industry and Microsoft is the old man set in his ways. Mid-tier games are dying and indie games are on the rise. AAA games are being pressured to spend more on production and marketing. And us gamers, well, some of us are just getting bored of the same recipe with one new ingedient. Microsoft needs to shake up the formula and go all in on a few new franchises that won't do anything but succeed. Ubisoft has already reaped the rewards of this strategy, now it's time for others to follow suit. Actually Lionshead and Twisted Pixel studios are making brand new IP's for Xbox One. At E3 we are going to see one of Rare's new games and I guess it's going to be a different franchise and I don't mind sequels like Gears or Halo. But I would like to see Lost Oddysee, D4, and Jade Empire on Xbox One.